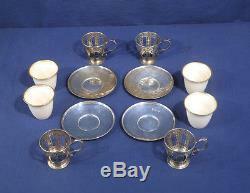 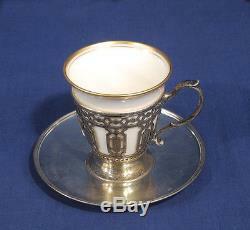 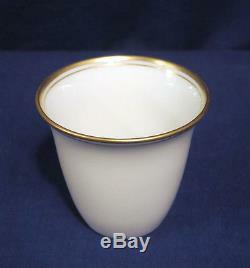 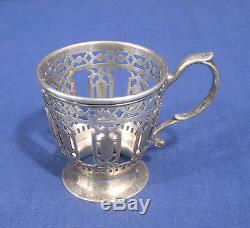 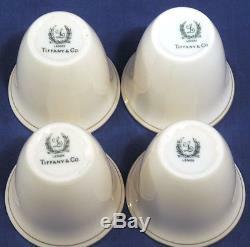 This is for 4 Vintage Antique Tiffany + Co. Sterling Silver Demitasse Cup + Saucers with Lenox China Liners. 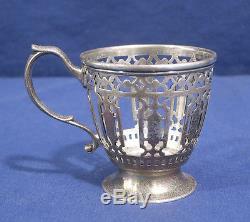 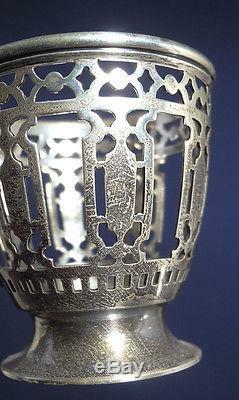 Silver Holders are approximately 2-1/4 in. 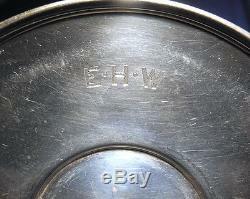 Across on top not counting handle. 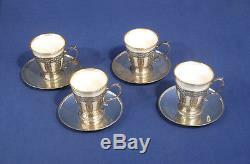 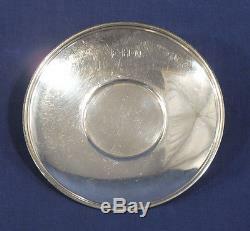 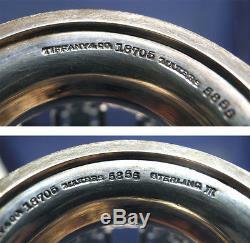 Silver Saucers are 4-1/8 in.